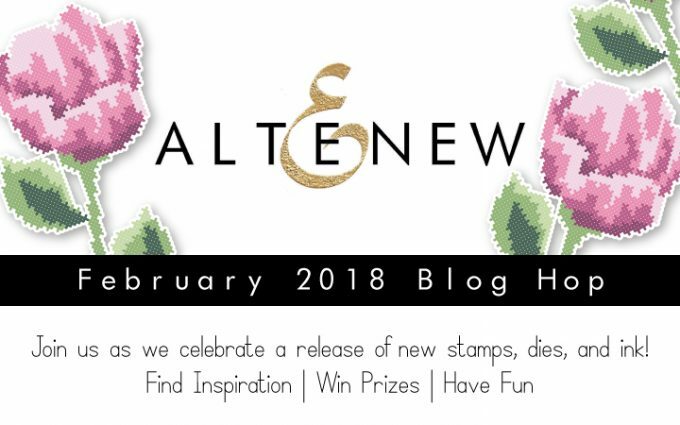 Hello and welcome to Altenew February 2018 Release Blog Hop. We are releasing new stamps, dies and 12 yummy inks! You probably came from Olga Moss blog. If not – you may consider starting from the beginning at Altenew blog and see what other members of Altenew design team and guest designers have created. There are so many beautiful projects from talented designers. Also you on each stop you you have a chance to win a prize. For my first card I used very beautiful Happy Bloom Stamp Set. And here I applied one of my favorite looks – spotlighted elements. This look can be achieved by different techniques. And for this release I happened to use a couple different ones. 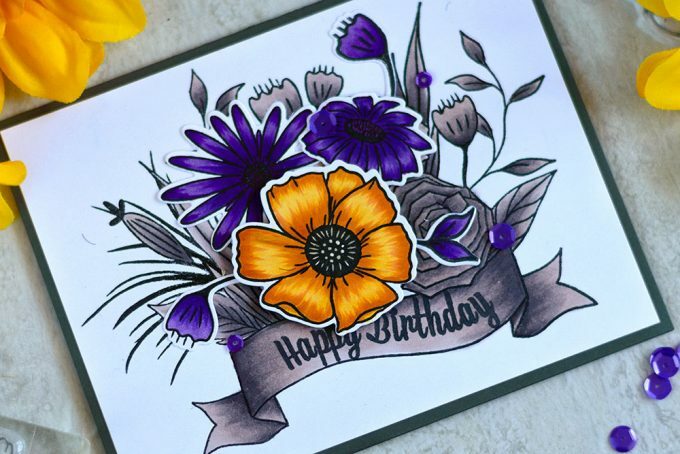 I started by stamping several standalone flowers from the set onto a white cardstock and then colored them using purple and yellow Artist Markers B (I just cannot get enough of these amazing purples!). After coloring I Die-cut them using matching dies. Next I stamped the floral cluster onto a white cardstock. And colored it using warm gray from Artist Markers B.
I stamped the sentiment onto the banner and mounted standalone flowers onto the clusters. These flowers don’t match exactly the ones in the cluster. But it worked out just fine as you can see. Lastly I adhered the panel onto a gray card base and added several purple sequins. For my next card I used very unique and creative Sewn With Love Stamp Set. And here I went with image spotlight look as well, using another technique. Technique which became so easy to do after stamp positioning tools had come to the market. I stamped the tulip onto both white card base and a panel of the same size using Cool Gray Inks from Rock Collection for the card base and new Sweet Dreams for the panel. I used a stamp positioning tool to get stamping in the same spot on both card base and panels. Also using the tool helped me with positioning layers, I only had to do it once for both stamping. After I finished stamping I die-cut a round frame out of the panel using a die from Create-A-Wreath Die Set. I also die-cut the same frame out of brown cardstock several times and once from Cherry Wood Paper. And I saved one oval piece of brown cardstock. Which I adhered under the panel die-cut (the one stamped with Sweet Dreams) and trimmed on one side to make the same as the panel die-cut. Next I adhered them onto the card base aligning the stamped designs onto the panel and cars base. All circle frame die-cut were glued onto the card one onto another with the wood piece on top. I was adhering die-cuts one by one cutting off the excess along the card edge (which would be much harder to do it if they were glued together first). Lastly I stamped the sentiment using the darkest gray ink. My next card features the new Ornamental Flower Stamp Set. It has one big very beautiful and interesting flower, with many many layers to build and several greenery images. And to create this card I used new Tea Party, Sweet Dreams and Green Meadows inks. 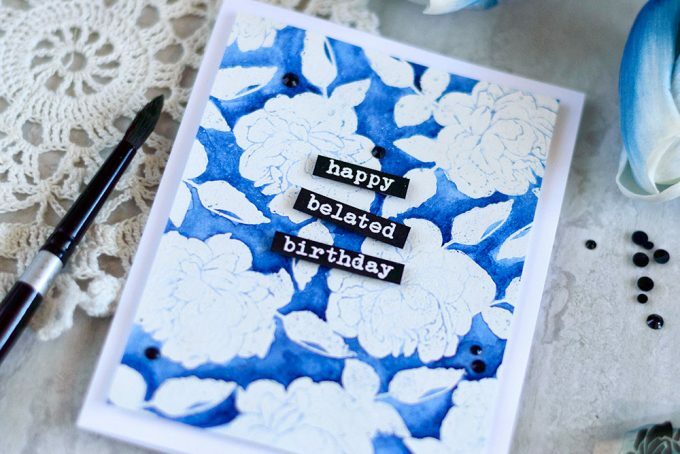 This card features one of my favorite techniques – masking. This technique usually takes a lot of time and knowing some tricks, but the result in my opinion totally worth it. So first I stamped the floral cluster onto a white card base using mentioned inks. Next I die-cut the sentiment using Thinking Of You Die. I also made the same die-cut out of cardstock which inked with Galactic Stream Ink. I glued two die-cut together with a slight shift placing the white one on the top. Lastly I adhered the sentiment onto the card and added several Sparkling Clear Crystals. 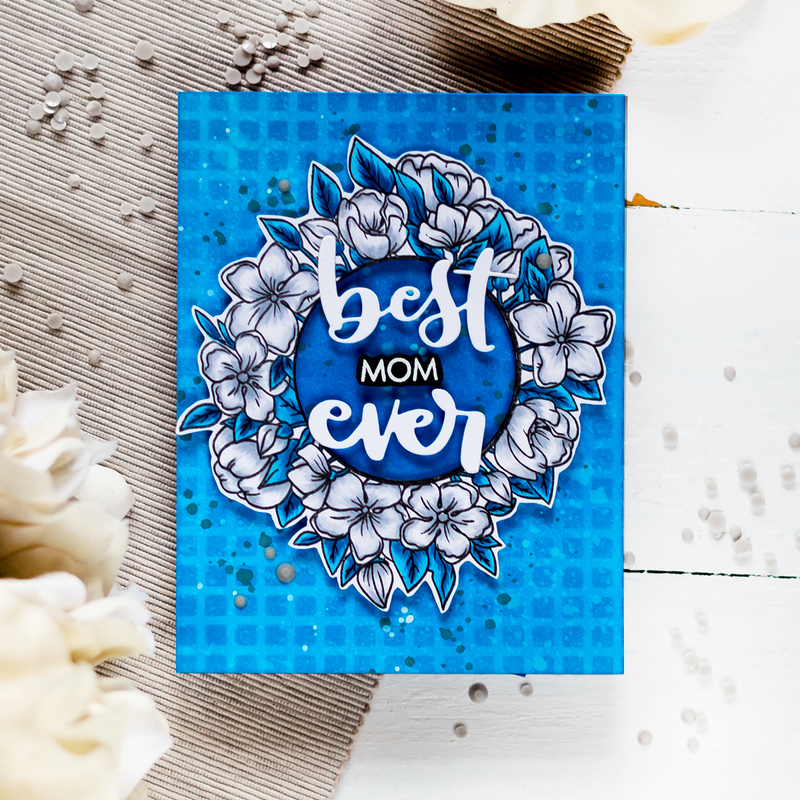 My last card features mini stamp set – With Sympathy. 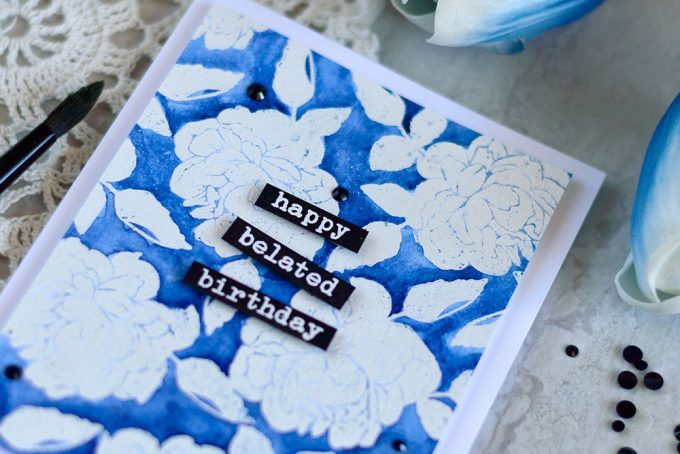 I started making the card bu white embossing a background onto a watercolor paper. Next I watercolored the background and foam mounted the panel onto a white card base. I white embossed the sentiment onto strips of black cardstock and foam mounted then onto the card. To finish it off I added several black crystals. I will also randomly choose a winner from comments left on this post and the prize will be $30 gift certificate to Altenew online store. Please leave a comment on this post by Tuesday February 13th at 11:59 PM EST for a chance to win. I will announce the winner here in this post on Wednesday, February 14th. The winner of $30 Gift Certificate is Julie-anne Hoffmann. The next stop in the blog hop will be extremely talented Kristina Pokazanieva. If you got lost, please go back to Altenew blog. If you’re interested in the supplies I’ve used – they’re listed below. Where available I use compensated affiliate links (which means if you make a purchase I will get a small commission with no additional cost for you). Click on the letters below to go to a favorite store: Simon Says Stamp (SSS), Studio Katia (SK), Altenew (AN), Scrapbook.com (SC), Amazon (AZ), etc. These are beautiful! I’m still squealing with delight!! All beautiful , but I really love the blue, belated birthday card. 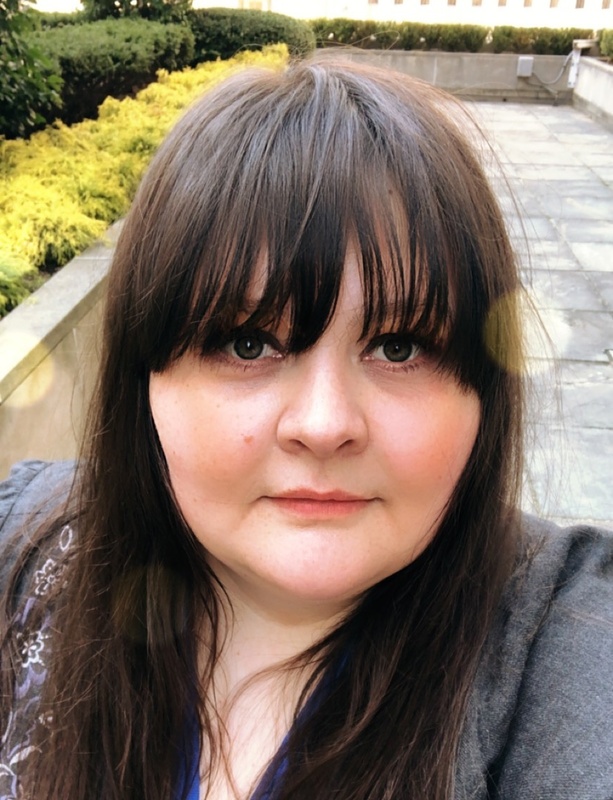 I love your cards…..all of them. Beautiful cards, especially the purple and yellow flowers on the first one! Svetlana, you never fail to impress with your wonderful card making skills. I’m with you in loving that purple in the flowers on the first card – so striking! Love the Cross Stiched look… Cannot wait to get that stamp and die!! Beautiful job!! Your cards are all beautiful! 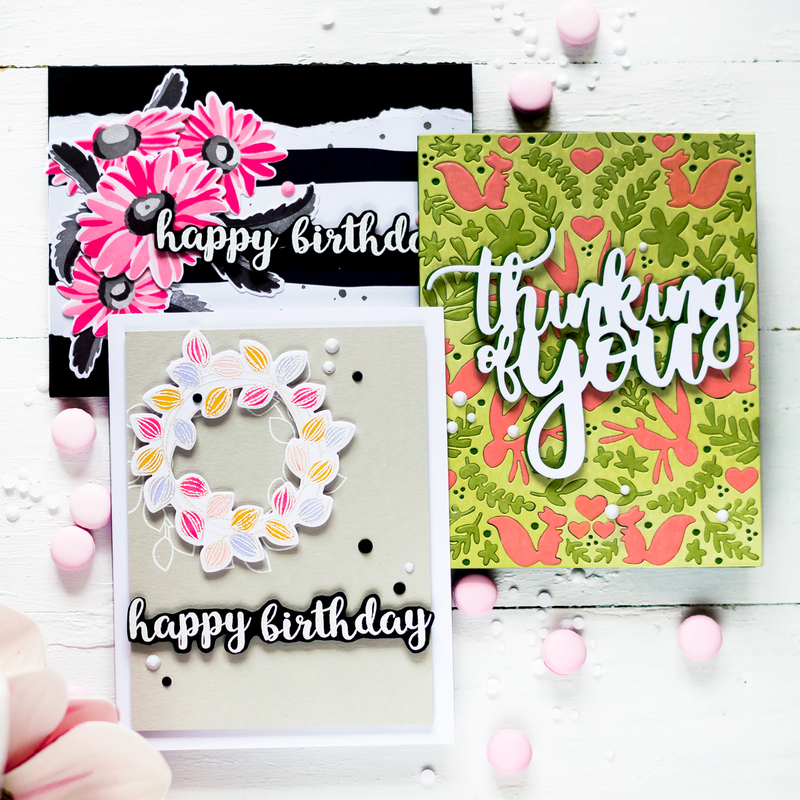 I really love the bright and bold colors of the first card using Happy Blooms – it’s so eyecatching! ahh love them all!!! you are fab! So pretty! Love those gorgeous flowers! The colors are so vibrant and your designs so pretty! Thank you for sharing. I’m glad you were included on this blog hop. You inspire me. Such gorgeous bold colors! The flowers look velvety from the way you colored them. I adore this card! Thanks for sharing your cards with us today. Great new release from Altenew! Thank you for sharing such wonderful cards. Loving this release. great cards. I love the belated birthday one. all lovely, but the blue belated card is especially stunning! Beautiful cards!! I love the spotlight one…what a great way to show off those colors! 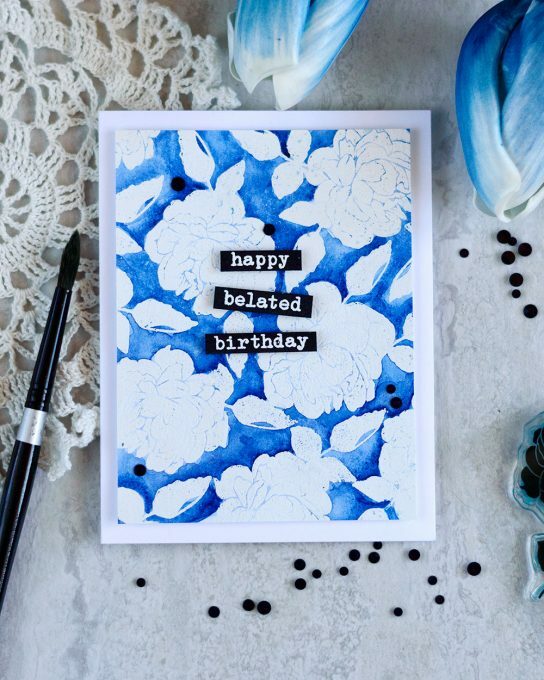 The belated card is gorgeous with that deep blue stealing the show! My support for you and your great creation! I love all of your cards, the coloring is beautiful. Just beautiful. A great new release and lovely inspiration! Love your beautiful cards!! Love the Thinking of You one, but they are all gorgeous! Thanks for sharing! Very lovely. Great colors used. 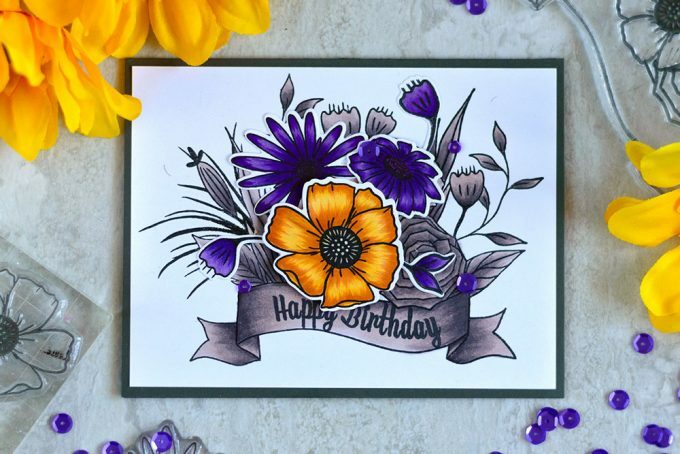 I love that Happy Bloom card- the richness of the purple and orange are so lovely! Love each one of your beautiful cards! Especially love the blue one!! So many nice cards but I like the Ornamental flower one best. Must have been a lot of masking. Thanks for sharing. Beautiful cards, great inspiration. Thank you. Beautiful cards! I love the purple and orange color combo! THese cards are gorgeous. I am loving this new color palette of inks!! Lovely cards. I particularly like the first one. The yellow with the purple is just gorgeous. Thanks for the inspiration. Such a different style than what I usually do. I loved seeing the different inspiration! Really lovely cards. Love your cards. The Happy Bloom is fantastic. Beautiful cards. Especially love Thinking of You. 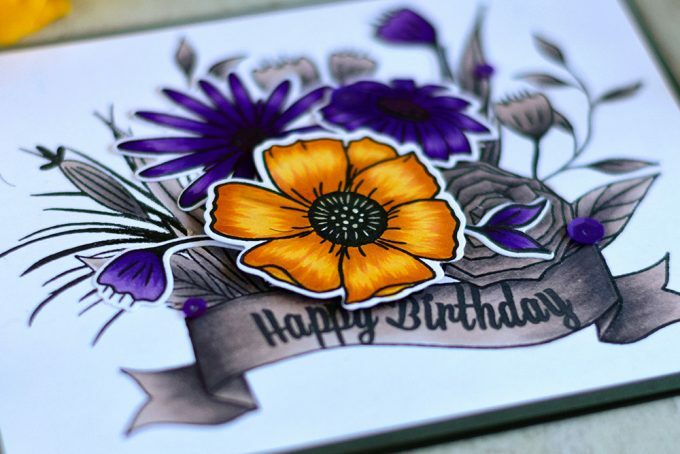 Love your coloring on the Ornamental Flower stamp! I tend to like softer colors, but seeing your rich, deep colors on these cards shows how lovely they can be in all colors! Such gorgeous cards. Love the colors. My fave is the Happy Bloom card – the colors are so rich and vibrant. 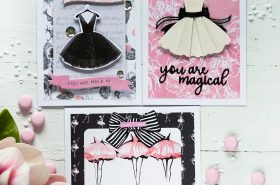 Some brilliant cards and watercoloring ideas for me to pin! Thank you so much for sharing. Happy Belated is such a pretty blue!! My fave! Gorgeous cards, and the color combos make them really stunningly beautiful! I love your card design style! Beautiful cards! I love your slightly different approach to the coloring of each of them. Thanks for sharing your creativity! Beautiful cards! I love the one where you used that circle to pick out the detail of the stitched flowers – like a magnifying glass or a focal lens! Great cards !! very colorful !! Your cards are so unique, beautiful and vibrant! I had to slow twice at the one with the ornamental flower because it just looked like pattern paper at first. I love how you masked the flower and made it look like it’s blooming! Svitlana you have totally out done yourself on all these stunning cards. The gorgeous tones of purples and yellows are fantastic, a combo that I have not seen before but that glows. The cross stitched tulip, not only how you’ve positioned it but using black, white and grey then that pop of colour inside. I’m blown away by all these images. Beautiful cards! I love the Ornamental Flower one with the new inks. So pretty! Beautiful cards! I especially like how you did the spotlight on the faux stitched flower…great idea! 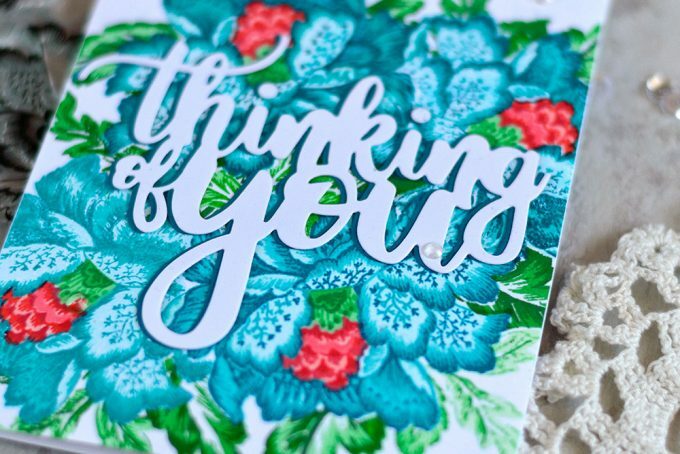 I’m in love with your card using the Sewn with Love stamp. Such a cool new technique, with the faux embroidery hoop. Love Love! Thanks for the inspiration! Your color choices and use of techniques always brings me back! Love your designs! Beautiful as always! All of your cards are so beautiful! I especially love the bright yellow flower in Happy Bloom! I love the card that looks like an embroidery hoop. Fabulous!! 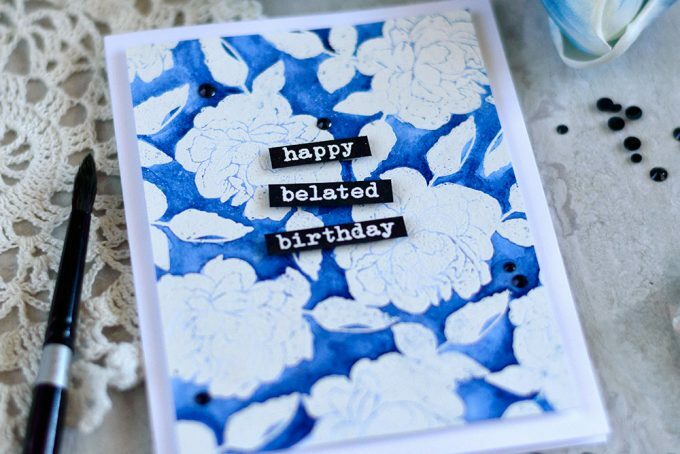 And the simple belated birthday card is very nice in color and design. Thanks for sharing your creativity with us all! Sew with love !! Wowzer !!! What beautiful cards! But my absolute favourite one is the sewn with love. Simply amazing. Thank you for sharing! Wow, you were busy!! These are all gorgeous! I think the second one with the spotlighting look is my favorite; so fun! Svitlana you always make very beautiful and colorful cards. Love them!!! Stunning cards, so much beautiful color on display. My favorite color is blue so I must say I love that blue/white card the best. Beautiful cards Svitlana. I really like the colour palette of the first card. These cards are stunning 🙂 Love this release from Altenew. I love your amazing creation so much! Such variety of the blue colored cards!! Love each of them. Such gorgeous cards! Love seeing all the different ways to use these sets! Lovely cards. Great color choices. vibrant purple & yellow of the 1st card. Gorgeous creations! I love your BOLD colors! 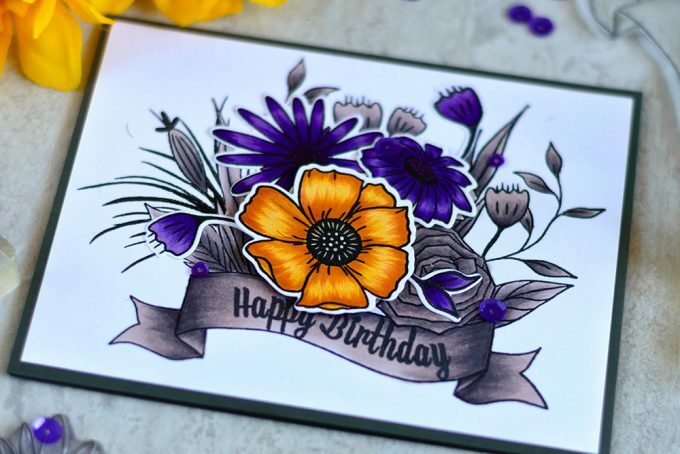 All your cards are amazing but I really like the birthday card with the purple flowers my favorite color! Beautiful cards. Your coloring is gorgeous. I always like seeing your cards and your bold use of color! So creative! Your cards are so beautiful! I absolutely love this new release. My favorite is sewn with love! Love your use of purple…wow. really pretty! Beautiful techniques and gorgeous designs. Love your cards! What a great set of cards and a great release too. Wow Svitlana what a gorgeous and vibrant cards. Thanks for showing us these beauties! Lovely cards! Thanks so much! 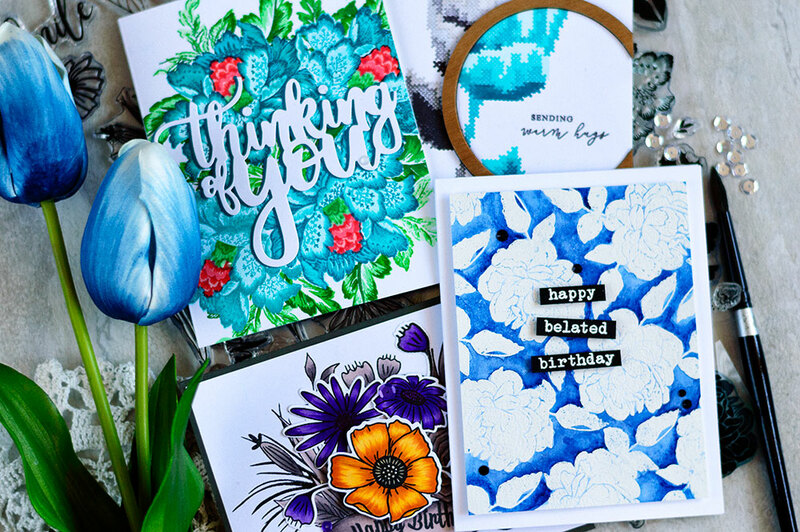 All these wonderful floral cards ! I especially love the way you made for the crossed stitches tulip ! It is so unique and clever ! Fabulous cards!! That Ornamental Flowers set … just gorgeous! These are fantastic! I love the cross stitch card the most!! 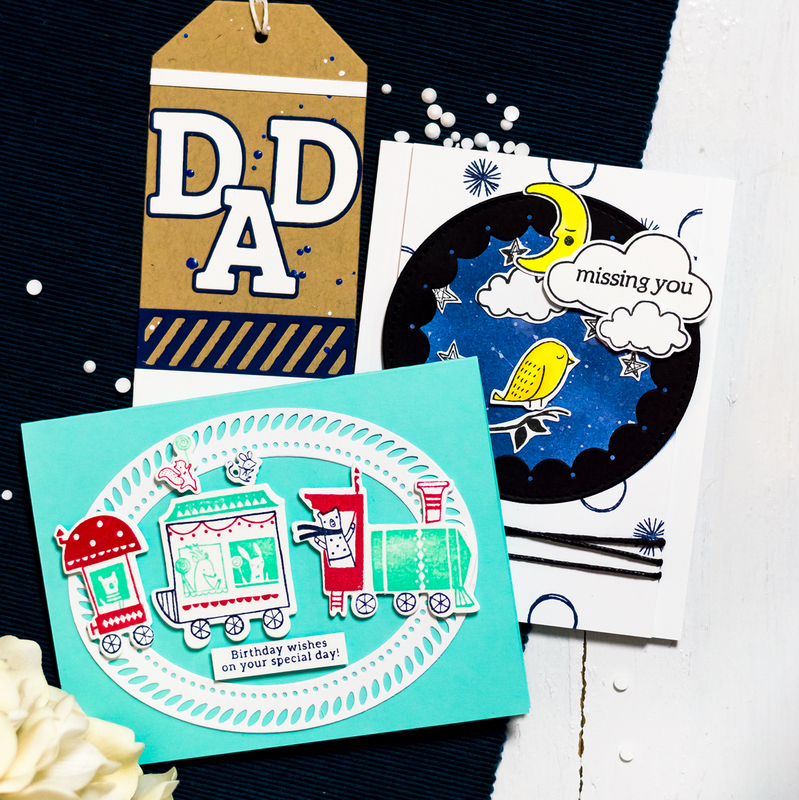 Very lovely work on these cards – especially your masking is great! This Altenew release is pretty amazing. this is a great release and your cards are fabulous. thanks as always for sharing. I love them all, but the third one in those colors is amazing (all I have seen so far is pinks), and I really need to try the technique you did on the last one, leaving the image white and coloring the background. It really is a wonderful surprise. Thank you. Love your cards using the new stamps! Wow, what amazing cards. The colors are fabulous and I learned a couple great techniques I have not seen. These are amazing Svitlana, you always have such great ideas. How lovely. Love all of your beautiful cards! Love how you did the Sewn with Love card! Fabulous release, your cards are lovely. The bird set and the ornamental flowers are my two favorites. My wish list grows ever longer. Beautiful cards, thanks for sharing! So many great cards! I especially love the one with the spotlight on the stitched flower! Your cards are so pretty and colorful. Loving the Sewn flower colored in the gray and teal shades, very unique. Such colorful cards! 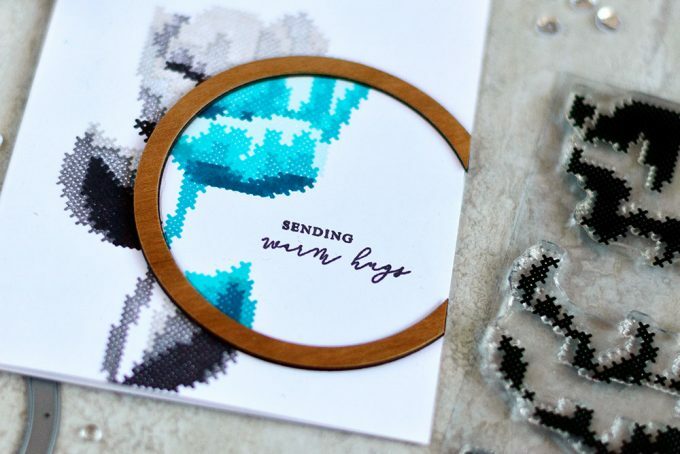 I love the way you used the cross stitch stamp set, what a creative idea! Beautiful cards! 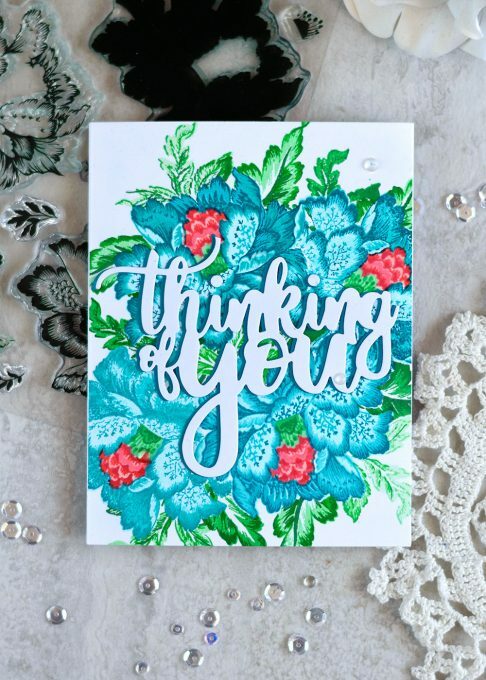 Love the colors on your Thinking of You card! Love your cards and the colouring is amazing. 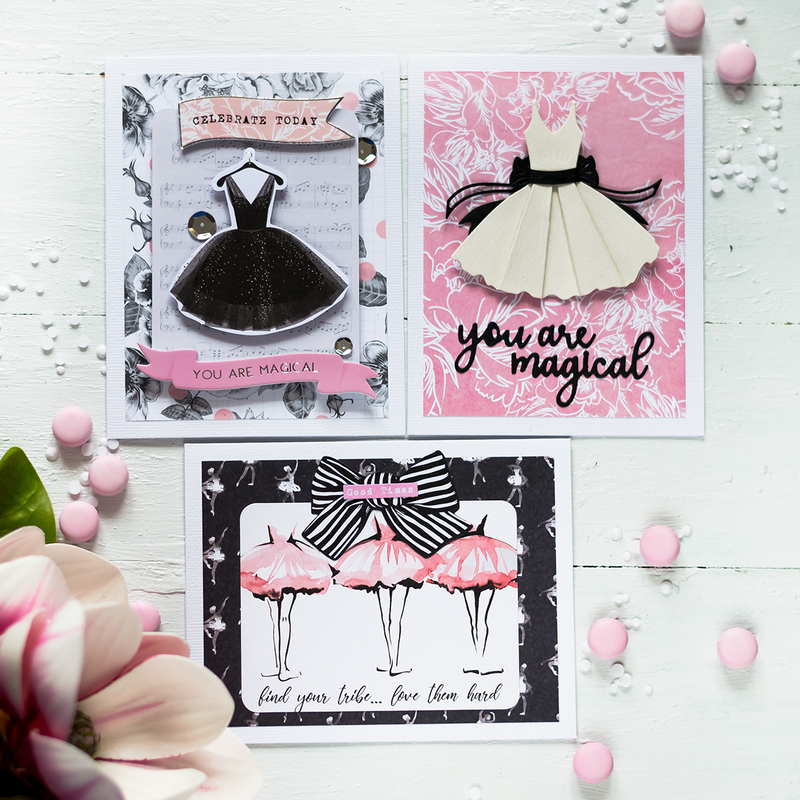 Gorgeous cards showcasing this new release so wonderfully! Thanks so much for the inspiration! I love how you watercolored the background and then mounted the flowers. Stunning! I always look forward to your creations, and these cards did not disappoint me. They are all beautiful. Your cards are beautiful! I especially like the one with the hoop. Svitlana, these cards are so beautiful. I love how you’ve created a highlighted spot on your first two cards with contrasting colors and how you’ve created such colorful backgrounds to highlight the sentiments of the other two cards. What a great collection to share! Thanks. What a lovely set of cards. I enjoyed reading your musings on instagram about what makes for a “simple” card. To me, the masking would be waaaaaaaay more labor intensive than coloring something. It might take the same amount of time, but it would feel like so much more work! But you really can’t argue with your results: the masked ornamental flowers are stunning. I love all the different spotlighting techniques you used; there are several ways that I’ve never done before, but now I’m going to have to try. Thanks for sharing your creativity with us! Simply amazing! I couldn’t even try to pick a favorite, love the vibrancy. Your cards are all so beautiful! Love the embroidery hoop accent on the stitched card! Wonderful cards! What a great release from Altenew. All beautiful cards using all of my favourite sets from the new release. Your color choices and spotlighting showed off the images so well. Thanks so much for sharing all your cards with us. Beautiful cards! I especially love the With Sympathy Card! The blue and white palette is stunning! TFS! Fabulous cards as always Svitlana! I just love your designs! What beautiful cards, I love them all, just STUNNING as always!!!!! Each of your cards has a unique twist. Love this new release from Altenew. Thanks for sharing! As always, very beautiful cards. Beautiful cards! This has been a great release from Altenew. Can’t decide which ones are my favorites, love them all! Your cards are so vibrant! They must bring lots of joy to their recipients! I love the Ornamental Flower card, though they are all pretty. Thank you for the opportunity to learn. WoW what gorgeous cards! Love these new ink colors! Fantastic release! I don’t know how they do it month after month! That Ornamental Flower stamp set is a must have! You did a fantastic job with it! So much talent on this hop! Thanks for sharing yours! While I love all your cards, I really found the Sewn with love one and the cluster of the ornamental flower stamp to be very creative! Can’t wait to try them! I love the spotlight on your stitched card, beautiful! All I can say is, WOW, WOW, WOW! All of your cards are AMAZING, girl! The vibrant, bold colors on each one is just absolutely gorgeous! All so striking and eye catching! Anyone would be thrilled to receive any of them. 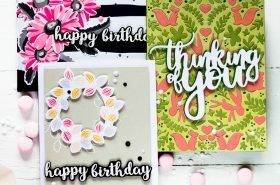 This new release has such amazing stamps and dies – I am loving all the inspiration for using them. Your cards are gorgeous and the different techniques are wonderful! Gorgeous cards!!! The blue one is stunning!! I love the colors you chose! 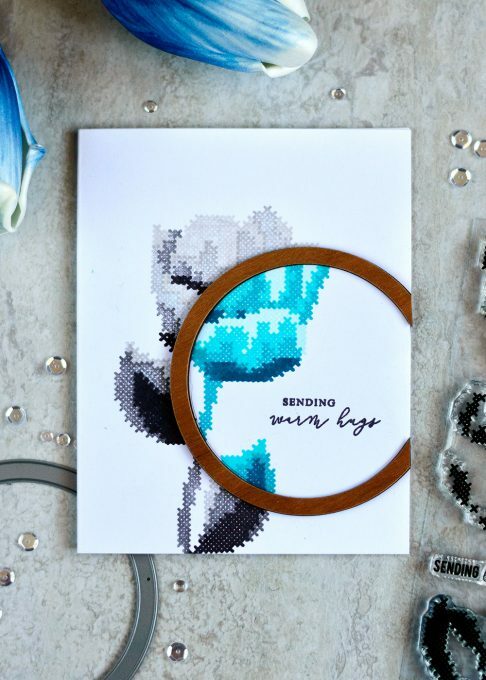 And the wooden ring on the cross stitch card…brilliant! Beautiful cards and I love watercoloring. I especially liked the wooden ring touch. Your cards are amazing. Love all your fabulous designs and beautiful colors! Gorgeous cards! The second one is so unique! All your cards are very beautiful…….love your coloring & all the detail. 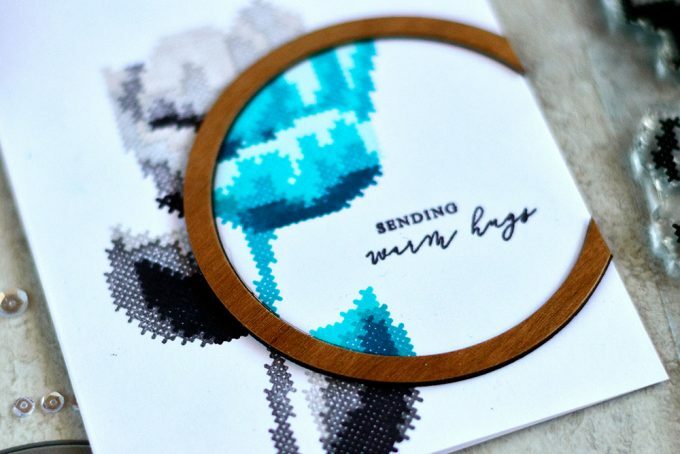 Loved how you put the hoop on your stitching card…….very clever! O wow! Gorgeous cards! That Happy Bloom set is a favourite of mine from this release and you showed it off beautifully!! Your colours are perfect and they’re just so rich and vibrant. Then your spotlight card is another work of art. Love it too. I’ve never made a card using that technique but you’ve inspired me to give it a try sometime. Great color choices for your cards! Love how they bring the images to life. *All product links can be found at the bottom of this post Supplies: Layered Rose Die Set, Trigonometry Stamp Set, Cherry Wood Paper, Translucent Vellum, Antique Gold Crisp Embossing Powder Supplies: Layered Rose Die Set, More Than Words Stamp Set, Crisp Ink (Jet Black, Sweet Dreams Oval Set) Supplies: Layered Rose Die Set, Reflection Collection Paper, Our Family Collection Paper Supplies: Wings of Hope Stamp Set, Crafty Life Stamp Set, Crisp Ink (Morning Frost, Jet Black, Coral Bliss) Supplies: Ornamental Flower Stamp Set, Forever and Always Stamp Set, Crisp Ink (Jet Black, Tea Party Oval Set), Ornamental Flower Die Set, Watercolor Stripes Cover Die Supplies: Sewn With Love Stamp Set, 365 Stamp Set, Sewn With Love Die Set, Crisp Ink (Jet Black, Heart Beat), Woodgrain Powder Cardstock Supplies: Trigonometry Stamp Set, Crisp Ink (Jet Black, Minty Mint, Dew Drops, Buttercream) Supplies: Birds of a Feather Stamp Set, Birds of a Feather Die Set, Crisp Ink (Desert Night, Buttercream, Jet Black, Morning Frost, Peach Perfect, Pink Pearl) Supplies: Birds of a Feather Stamp Set, Birds of a Feather Die Set, Crisp Ink (Jet Black, Morning Frost, Sweet Dreams Oval Set, Tea Party Oval Set, Green Meadows Oval Set) Supplies: Trigonometry Stamp Set, Crisp Inks (Puffy Heart, Evening Gray, Moon Rock, Dew Drops, Minty Mint, Fresh Lemon) Supplies: Happy Bloom stamp set, Blush Crisp Dye InkSupplies: Forever and Always stamp set, Rose Gold embossing powder, Crisp Inks (Rouge, Crimson, Evergreen), Gold Foil Cardstock, Jet Black cardstock Supplies: Sewn with Love stamp set, Winter Rose stamp set, Antique Gold embossing powder, Spicy Yogurt cardstock Supplies: Sewn with Love stamp set, Gold Mirror cardstock, Jet Black cardstock, Spicy Yogurt cardstock, Pure White embossing powder Supplies: With Sympathy stamp set, Crisp Inks (Ruby Red, Soft Lilac, Lavender Fields, Sand Dunes, Jet Black) Artist Markers (Sea Glass, Blush) PRIZES: To celebrate this release, Altenew is giving away a $50 gift certificate to SIX lucky winners! Please leave a comment here on the Altenew Card Blog and/or Altenew Scrapbook Blog by Wednesday, February 14th, for a chance to win.